The world’s little pollinators are smarter than we’ve known as a new study of 14 honey bees shows that these flyers may be able to do math. 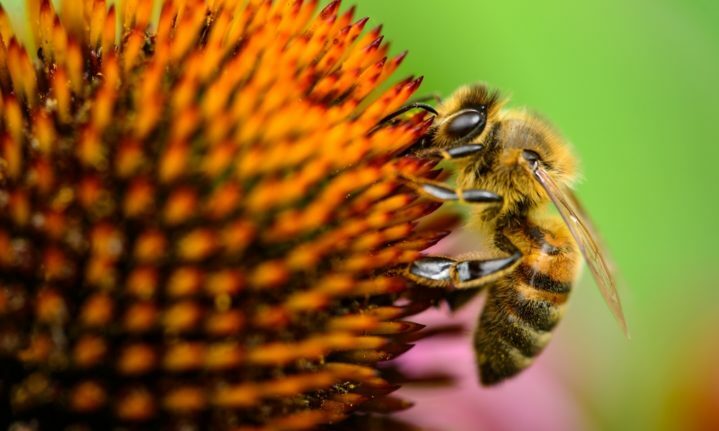 In research published today in Science Advances, a group of Australian researchers led by RMIT University professor Scarlett R. Howard presented the bees with a series of problems. In the battery of 100 tests, blue represented addition, and yellow subtraction. The study also points out the kind of thinking required—that bees must understand the idea of less versus more through a form of symbolic representation, and that they have to retain memory of said symbols when the test was repeated. The researchers believe that it could aide the bees in identifying and retaining knowledge of the best flowers to sustain their hive. As the paper points out, it’s not the first signs of complex intelligence from bees, who seem to have spatial awareness of direction, size, and similarity. They’ve also previously been able to demonstrate rudimentary math skills, such as counting. So instead of a “math bowl” and a “spelling bee,” maybe it should be the other way around—just to make things right.